as the lyrics of alice cooper's anthem fades... "schools out for summer..." enter the terror that you have to keep that little one occupied and active for the next three months. don't get me wrong, summer rocks, but for some city parents it can be tricky and a bit exhausting going from camp to playdate to waterpark in 102 temps all in a day's time! beat the heat with an arsenal of awesome books! 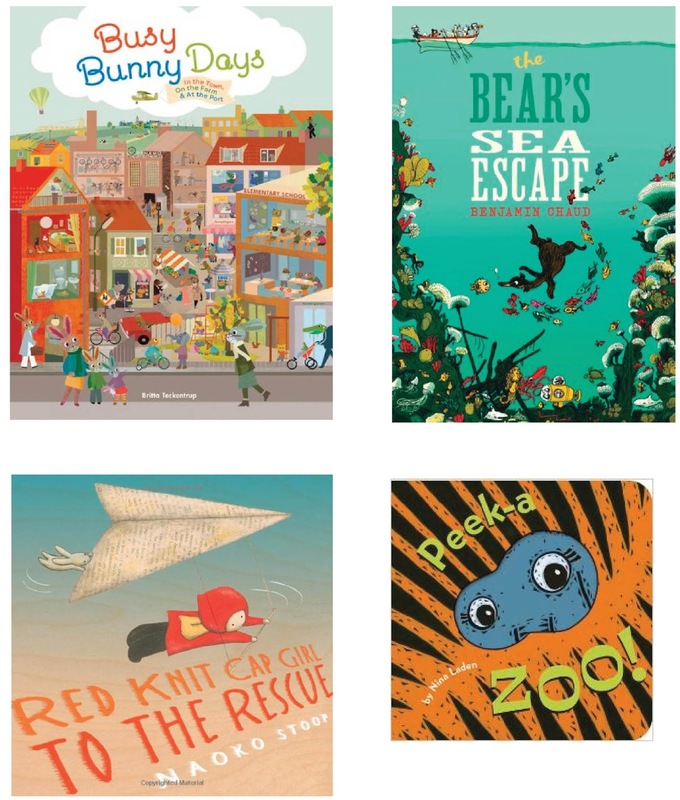 we like these for the simple story lines and imaginative illustrations: busy bunny days; the bear's sea escape; red knit cap girl to the rescue; and for the babies, peek-a-zoo!